Hybridge’s brokerage services goal is to add value and create long-term success for its clients. As a trusted real estate advisor, Hybridge provides an in-depth, one-on-one service that exceeds clients’ expectations. 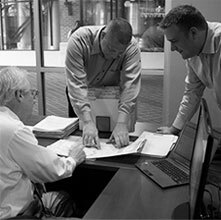 The Hybridge process draws from years of experience, contacts and collaborative market intelligence to implement a site selection strategy customized for each client’s expansion goals. Hybridge helps its clients succeed by conducting extensive demographic research and traffic surveys, identifying market trends, projecting population growth analysis, and compiling market information on available sites. 1. Create a marketing strategy based on competitive analysis, market conditions and target tenant characteristics. 2. Conduct a gap analysis of target uses and a corresponding list of target prospects. 3. Execute the proactive marketing strategy by contacting prospects with customized proposals. Hybridge Brokerage services aims to maximize the client’s return. The Brokerage division draws on its considerable resources to expertly manage the full spectrum of brokerage services including the acquisition and disposition of properties. After thoroughly understanding the client’s objectives, Hybridge explores the depth of each market via demographic data, traffic studies, projected growth analysis, development review, and financial analysis. This synthesized research results in a targeted prospective sites list. 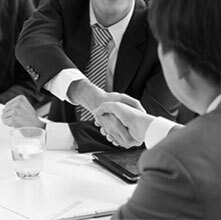 The Brokerage team employs this market knowledge and aggressively negotiates the optimum purchase/lease agreement for the client. When selling a commercial property, Hybridge builds a marketing strategy around an understanding of competitive properties, comparable sales prices or lease rates, construction pricing, market cap rates and ground up development knowledge. That review yields a target list of prospects who are introduced to the property via a marketing campaign and canvassing plan. The Brokerage team then evaluates each offer and formulates a long-term strategy in accordance with the client’s financial goals.